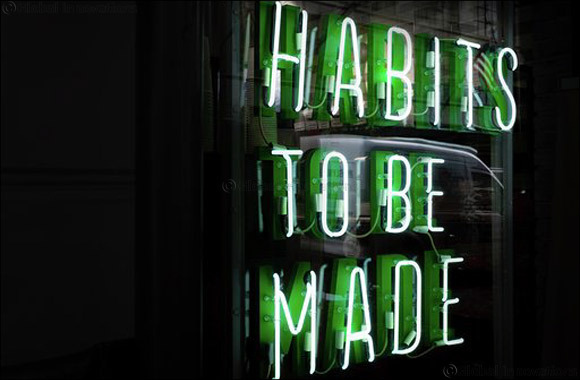 We are creatures of habit. Every day, most of us will stick to our morning routines like clockwork: wake up, make coffee, check social media feeds, go to work, etc. Of course, not all habits are created equal, as we form bad habits along with the good. But what if just a few simple steps each day could encourage us to start on the right foot? Research suggests it takes 21 days to establish a new habit through repeat behaviour. With our busy schedules and endless tasks, it is important that our habits are positively impacting our productivity, health, and overall happiness. Luckily, finding a routine that easily fits into your schedule is not as hard as it seems. Medy Navani, Founder and Creative Director of Design Haus Medy, provides his top habits that will benefit your everyday. This may seem simple but it is actually a great way to start your day. Making your bed and taking the time to do it well provides a sense of accomplishment from the moment you wake up. Although it may seem easy, this is the beauty of this habit; it doesn’t take long and triggers a feeling of achievement that sets you up for the rest of the day. This is great for your productivity levels and general positivity - all from taking five minutes to make your bed. You should be drinking two to three litres of water a day and by adding a lemon twist, it is not only a great antioxidant, it provides added health benefits such as curbing cravings and increasing energy levels. Before your morning coffee, have a glass of lemon water and you body will thank you. For an added freshness, try adding mint which is also great for digestion. It is important to remember to be appreciative of what we have. When you first wake up, take a moment to list off everything that brings meaning to your life. Reminding yourself of what is important will provide you with a more positive outlook which can filter into all aspects of your day. This is also a great tool to use when you are feeling moments of stress as recognizing what actually matters will quickly wash away any negativity and keep you in a positive mindset. From the moment we open our eyes, technology is at the forefront of our day to day lives. The bombardment of continual information can cause our minds to overwork and therefore it is important to take a moment and switch off. Simply take five minutes a day and walk away from your computer, phone, and any other screen to just be in the moment. Research has also suggested that actively using technology before going to bed can cause sleep deprivation due to the light from the screens activating our brains to believe we should stay awake. Instead, grab a book and indulge in your imagination. You will find you sleep better at night, increasing mental function for the day ahead. According to Maslow's Hierarchy of Needs, the first and most important stage before we can even think of doing anything else is to take care of our physiological needs. This includes sleep, warmth, shelter, and hunger. As the word suggest, breakfast (or break fast) allows the body to refuel after being dormant for eight hours. Keep it simple and grab a piece of fruit or toast to take with you on your way to work. It will increase your energy levels and have your mind and body performing at optimum levels from the outset.